The border tile MAS EQUIS to match CONGA "Sencillo" is a great way to give a finishing edge to a handsome border. If your room allows for it, do a double border, one row is 180 degrees to the other row. You will also need inside and outside cornes if you do a double cement tile border. Always order extras ! A row of solid color cement tiles looks great between the pattern border and the wall and allows for any irregularities in the wall or door frames. 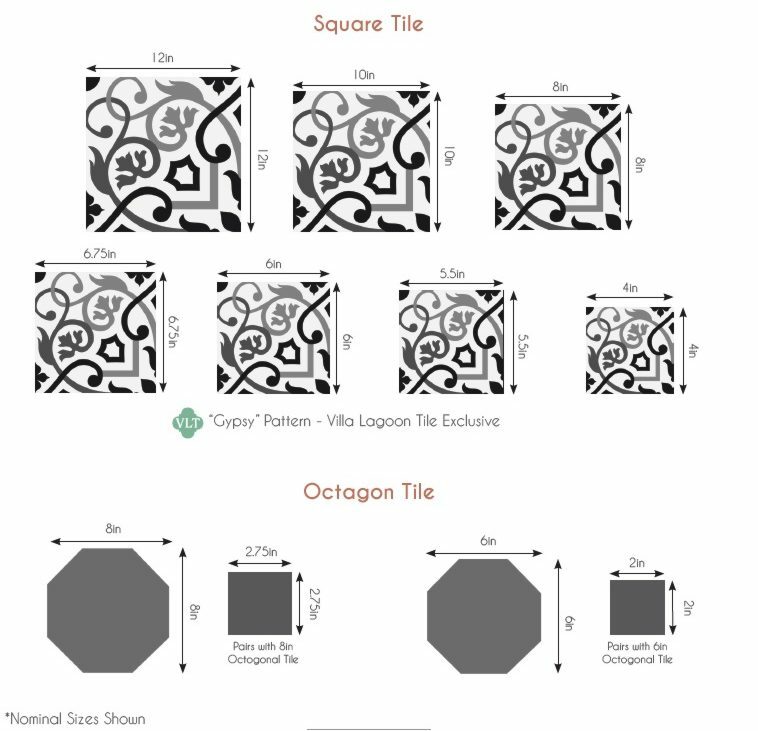 Try our Tile Design Tool to see how it looks with a single row of border tile. Download a Printable (pdf) Tearsheet of MAS EQUIS Border and Matching CONGA "Sencillo"